1. Three Tacos Chicken Or Beef Tacos Rice & Beans. $16.95 (Soft or Crispy Tortillas) 2. One Taco, One Enchilada, One Tamale Rice And Beans. $16.95 3. 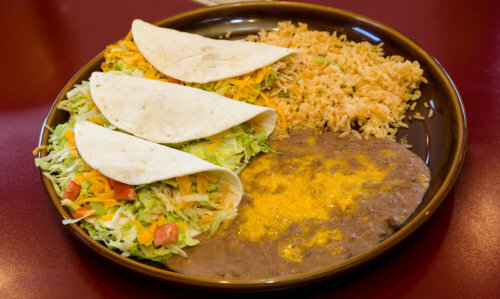 Two Enchiladas, One Taco Or Tostada Rice And Beans. $16.95 4. One Enchilada, One Tostada, One Taco Rice And Beans. $16.95 5. One Chile Relleno, One Beef Enchilada With Choice Of Beef Tostada, $16.95 Tamale Or Chalupa. (No Rice And Beans) 6. Three Enchiladas, Cheese, Beef, Chicken Or Picadillo Filling; $16.95 Topped With Verde, Mole, Enchilada Sauce, Macho Sauce or Chipotle Sauce 7. 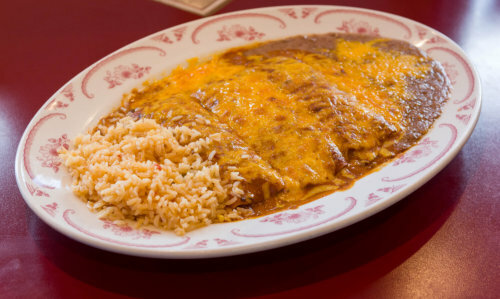 One Enchilada, Plus Choice Of One Beef Burrito Or $16.95 Chalupa or Chimichanga Rice & Beans. .50 Extra For Chicken Or Picadillo. 8. Two Beef Burritos with Rice And Beans. $15.95 $.50 Extra For Chicken or Picadillo. $1.00 Extra For Chile Colorado, Chile Verde Or Chorizo. 9. Two Chalupas (Ground Beef) Rice & Beans. $15.95 $.50 Extra For Chicken Or Picadillo. 10. 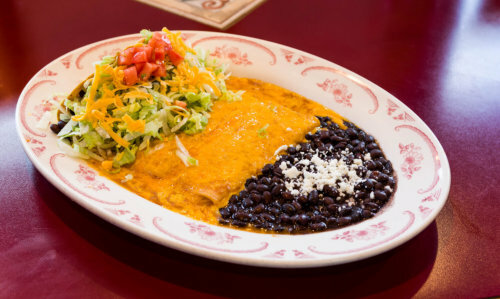 One Chile Relleno, One Enchilada $16.95 Rice, Beans And Guacamole. 11. Two Chile Rellenos $16.95 Guacamole, Rice, Beans & Tortillas.